Is Inherited Money Considered Separate Or Marital Property In Tennessee? An August Forbes articled detailed and explored the case of a woman who had recently become the beneficiary a substantial monetary inheritance from her Grandfather. Not long after the Grandfather passed away and left the money to his Granddaughter, her marital problems intensified with her Husband ultimately resulting in the initiating of divorce proceedings. As one could imagine, the Granddaughter/Wife found herself highly concerned that she could be forced to give up a large share of her inherited money to her husband as a part of their divorce. So, the question becomes when one spouse inherits money in Tennessee is it considered a marital asset to be divided among the divorcing parties? Though this inheritance case in Forbes is quite obviously eye-opening, if handled properly, there should be no reason for the Wife to fear giving up any of her inherited money to the Husband in Tennessee. However, unwise handling of a monetary inheritance, like commingling the inherited funds with joint marital account(s), can pose a risk of the money not being exclusively retained by the spouse who inherited it if the couple enters into divorce proceedings. When is inheritance separate property? Inheritance is generally considered to be separate (non-marital) property in Tennessee regardless of whether the inheritance was received before or during a marriage. Other types of property Tennessee Courts consider to be separate are property acquired by gift, property owned prior to marriage and certain legal settlements. This means that when a spouse receives an inheritance during the course of his or her marriage, that money is assumed to remain the personal property of the recipient unless other actions are taken which transforms it into a marital asset. When is as inheritance marital property? 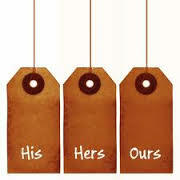 The most common scenario is when the inherited asset is commingled with other marital assets. If a spouse mixes, or commingles, his or her inheritance with the mutually shared marital property so much so that the Court has difficulty tracing the inheritance’s origin, the Court may determine that it has lost its special status as separate property and has become marital property. For example, if a spouse receives money as an inheritance and then deposits in the maritally shared family checking account that is used to pay marital family expenses, the Court may determine the inheritance as marital property subject to division post divorce. The second scenario in which a non-marital inheritance can become a shared marital asset is through transmutation. A transmutation can occur in a postnuptial agreement or in other ways that changes the character of the spouses’ property from separate to community/marital or vice versa, with there being clear intent as to the change of character of the marital property. An example of an inheritance becoming a transmutation from separate to shared marital property would be jointly titling the property in the names of both spouses. A good example of an inheritance remaining an inheritance and not becoming marital property is when the inherited money is received, the funds should be placed into a bank account in the beneficiary’s name only. Then, the money in the separate account should never be commingled with joint marital family account(s) used for marital expenses. If you are in a similar situation whereby you are considering divorce and you stand to gain a family inheritance for which you do not want to become shared marital property, you should seek the services of a competent, experienced family law attorney. Contact attorney Jim Widrig or any of the attorneys at Widrig Law PLLC to schedule a free consultation. Our phone number is 615-417-7800.